The browser based views, use the time zone set for the user. I’m not sure if the GLCD uses the underlying system/OS time. If you look at the administration page in the Server section, I think the time there is the underlying system/OS time. I thought the emonGLCD got the time from the internet but I don’t know which time zone it uses. I’ve tried using UTC & Europe/London +1:00 but the same time appears on the GLCD. All clocks on my charts & PC show the correct time. It does, but indirectly, via the “base”, which in your case is the emonPi. So somewhere in the emonPi, the wrong time is being picked up and sent to the GLCD. 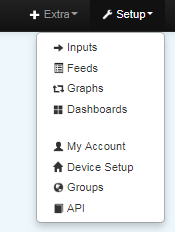 As I said, the charts etc use the timezone set in your user account / browser. I suspect the GLCD uses the system /OS time which is not set by your profile. If you look at the administration page in the Server section, I think the time there is the underlying system/OS time. 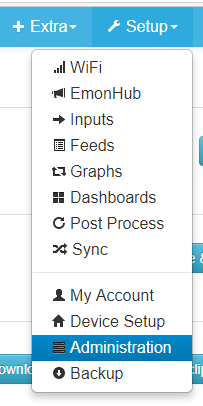 You can copy the server info via the button in the admin page and then paste it here (no further formatting required). I recently found that the timezone in my EmonPi was not set correctly. How do I go about changing it in emonpi? I don’t understand this comment! then paste the clipboard into a reply (no further formatting). You wouldn’t I think on the emoncms.org one. On the EmonPi, log out and log back in again. The menu goes when your user session expires. Thanks for that; see attached server info. I can see the time is wrong but how do I correct it? I can see the time is wrong but how do I correct it? You need to SSH into your EmonPi. Hopefully that will solve the problem. I’m no coder so I don’t know how to do this; can you walk me through it? By the fact you have an emonGLCD, I am suspecting you just have the Raspberry Pi version rather than the EmonPi (the 2 can be seen here to confirm). Can you confirm what your system is? I also see you have a 2018 version of the SDCard, did you create this yourself by downloading the image or did you buy a ready made card from the Shop? I have the Raspberry Pi version (emonBase?). Can you attach a keyboard and monitor to the EmonBase? FWIW, what you’re seeing is consistent with my shop-bought system from the back end of last year. i.e. the date is UTC. So you should see what is called the command prompt. something like this. beware, the case is important so TIMEDATE is different to timedate. You should see something like this (not exactly the same).